You'll be £14.99 closer to your next £10.00 credit when you purchase Aces in the Sky. What's this? During the last 100 years the face of aerial warfare has changed almost beyond recognition. At the start of the twentieth century the plane was still very much in its infancy and it wasn't until August 1910 that the Americans conducted experimental flying with an aircraft that had been fitted with a gun. Fast forward eight years and by the end of the First World War aerial combat had progressed to a point where dogfighting had made air supremacy a reality. In the years that followed until the end of the Second World War, the plane again transformed into one of the most important pieces of machinery available to the warring nations. 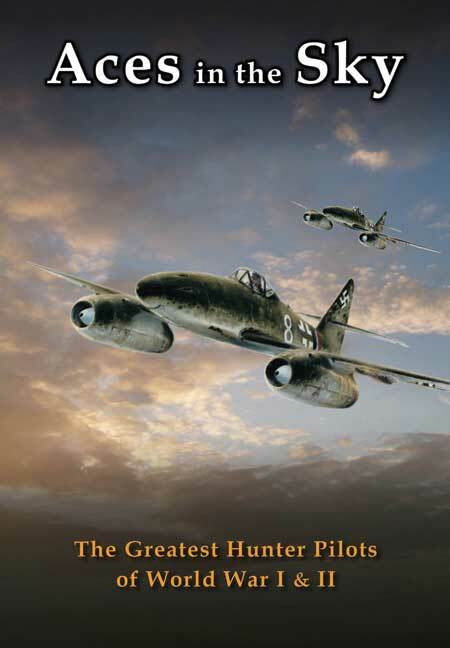 This film documents the successes of some of the most famous fighter and hunter pilots that have ever graced the sky. Starting with the First World War, we follow the exploits of Manfred von Richthofen, who had 80 combat victories to his name, and also the career of Oswald Boelcke, considered by many to be the father of German fighter air force. The film then focuses on the Second World War and famous pilots such as Erich Hartman, who claimed 352 aerial victories, Galland, Molders, Nowotny and Marseille. Also featured is the Japenese pilot Saburo Sakai, often considered as one of the greatest fighter pilots of the war. Wonderfully illustrated through original archive footage, this DVD is sure to appeal to all aviation enthusiasts.